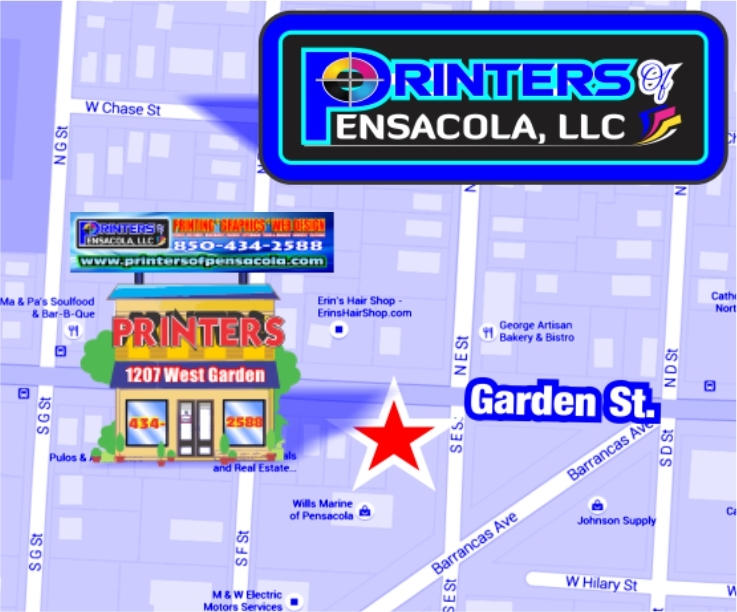 We are an award winning commercial & digital marketing agency with 40 years experience in downtown Pensacola. We specialize in printing brochures, forms, envelopes, business cards, letterhead, invoices, folders, signs, banners and large format printing as well as high speed copying and scanning services. Our in-house graphic design team can produce and manage all types of print and web design graphic applications.